We are pleased to announce that Deborah A. Defosse has joined CSI International, Inc. as the new Export Coordinator to continue CSI’s dedication and proven success in providing worldwide freight forwarding services. She will be based out of the CSI location in Essington, PA.
As the Export Coordinator, Deborah will be responsible for processing export shipments in accordance with all U.S. and international requirements, laws, and regulations governing the shipment, receipt, and documentation of exported products while working closely with the internal customer service team, as well as achieving high accuracy through our forwarding systems to ensure high productivity, efficiency, and operational excellence. Deborah comes with over twenty-five years of experience within the Freight Forwarding Industry having previously tackled various roles such as Air Export and Ocean Import. Having spent the last eight years at Schenker International, Deborah was promoted to the General Export Coordinator where she was responsible for all aspects of customer service and account maintenance, maintaining contact with overseas agents, banks, and customers, as well as booking and tracking shipments, and rate negotiations. In addition to working at Schenker International, Deborah has also been with several top Logistics and Freight Forwarding Companies, such as Barthco International and B.D.P. International, where she participated in the “Operational Excellence” project for Air Export, a team project designed to improve all facets of B.D.P.’s operational process flow. Deborah has also earned important industry-specific certifications including the Hazardous Material Certification and the Letters of Credit Certification from Mellon Bank. Deborah is passionate about continuous improvement and being a part of such an efficacious team like CSI International, Inc. Thank you for joining us in welcoming Deborah to our team! CSI International, Inc. is an independent privately owned and managed firm that has been serving the international trade community since 1989. 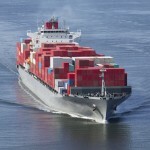 We are fully licensed Customhouse Broker (CHB) for imports and Ocean Transportation Intermediary (OTI) for exports. These certifications empower CSI International, Inc. to meet our customers’ documentary and logistic needs.